Henry Algernon Vickers Hogan was born on 25th October 1909 and educated at Malvern College. He entered RAF College Cranwell in January 1929 as a Flight Cadet. He graduated in December 1930 with a permanent commission and joined 54 Squadron at Hornchurch. In March 1932 Hogan was posted to the Fleet Air Arm at Leuchars. On 9th November he joined 404 (Fleet Fighter) Flight at Netheravon, operating at sea from HMS Courageous. On 2nd May 1933 he moved to 800 Squadron. In July 1934 Hogan was posted to CFS Upavon for a course, after which he went to No. 1 FTS Leuchars to instruct Naval and Army officers. He returned to CFS on 31st August 1936, to join the staff there. On 3rd January 1938 Hogan was posted to No. 1 Bomber Group Long Range Development Unit and took part in the RAF Long Distance Flight to Australia in November 1938, flying one of the three Wellesleys. He joined ‘P’ staff at the Air Ministry in January 1939, then became CFI at 15 FTS Lossiemouth, when it was formed on 1st May 1939 and moved with it to Middle Wallop in May 1940. Hogan went to 6 OTU Sutton Bridge on 6th June for a refresher course and to convert to Hurricanes. 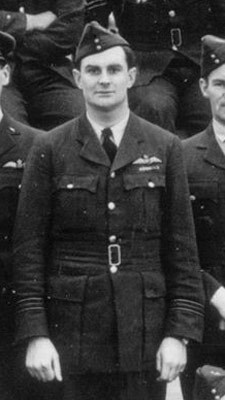 501 Squadron – He went to 501 Squadron at Croydon on 25th June as a supernumerary Squadron Leader and assumed command of the squadron on the 29th. He claimed a Me109 destroyed on 20th July, damaged Do17’s on 12th and 16th August, damaged a Me110 on the 18th, shared a Do17 on the 27th and destroyed a He111 on the 30th. Hogan claimed a Me109 probably destroyed on 17th September and next day he was himself shot down in combat with He111’s and Me109’s over West Malling. 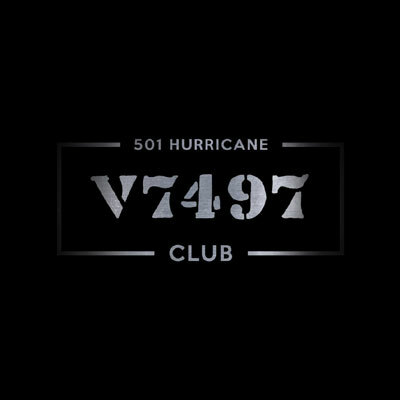 He baled out, unhurt, and his Hurricane, V6620, crashed near Charing. On the 27th Hogan shared a Me110, on 5th October destroyed a Me110, on the 7th shared a Me109, on the 12th and 15th destroyed Me109’s and on the 27th probably another. He was awarded the DFC (gazetted 25th October 1940). On 6th November 1940 Hogan went to Grangemouth to form 58 OTU but the airfield was not ready, so he went to Church Fenton on the 25th, to form 54 OTU, returning to Grangemouth on 29th December 1940. Hogan went to the USA in June 1941, to set up pilot training there. In August 1942, in Washington with the RAF Delegations, he was made Director of Flying Training RAF in the USA as a Group Captain. He returned to the UK in late 1943 and in December was made Chief Instructor at the Empire Central Flying School, Hullavington. In April 1945 he became CO of 19 FTS when it was formed at Cranwell. He went to RAF Staff College at Haifa in April 1946. After the war Hogan was successively Sector Commander, Northern Sector, Air Officer Commanding 81 Group, then 83 Group 2nd Allied Tactical Air Force, Germany, then Senior Air Staff Officer Flying Training Command. Made a CB (1955), Hogan held a series of appointments before retiring on 29th April 1962 as an Air Vice-Marshal. His portrait was made by Cuthbert Orde. Hogan died on 28th June 1993.